Based on a recent study we conducted of over 400 sales organizations, sales coaching is one of the most impactful activities a manager can do to improve sales results. But all too often sales organizations find it challenging to develop a sales coaching program that's embedded in a coaching culture. Read this 5-page white paper and learn best practices and strategies for developing an effective sales coaching program for your sales organization. Norman Behar is a proven sales leader with over 25 years of CEO and senior sales management experience. 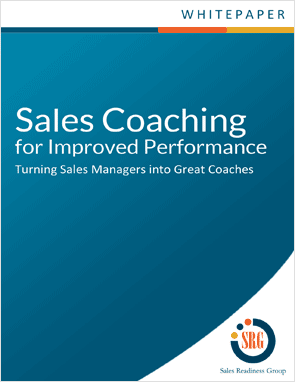 This whitepaper is based on his years of experience in learning what works and what doesn't when developing sales managers to become great coaches.